Choosing silk flowers for your wedding bouquet and other wedding decoration is a good choice because silk flowers are permanent! They keep on reminding you of the sweet memories of your big day for years. Plus, you get such an unlimited choice of colors, designs, fabrics and arrangements! However, while choosing silk flowers for your wedding, you should take care of choosing quality silk bridal bouquets made by a professional florist. There are poorly designed and cheap looking silk flower bouquets out there. When a silk bouquet is designed by a professional florist, the effect can be just as lovely as a fresh bouquet. You need not get disappointed because your local florist doesn’t play much with silk. There are numerous florists out there who can help you. 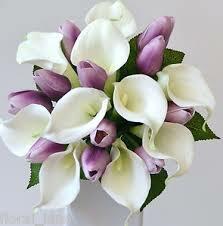 You can also search online and pick up the wedding bouquets of your choice. While searching online, you will see a variety of readymade bouquets. But they offer you custom-made bouquets too. Some online silk flower stores offer videos which teach you DIY arrangements. In short, in these stores you get an unlimited choice regarding everything related to silk flowers. Yes, silk flowers also differ in qualities. There are poor qualities as well as high qualities. And you can identify the difference at a glance. Poor quality flowers have plastic parts that are easily visible, whereas high quality silk flowers have a realistic look. Their stems and leaves don’t only look real but also feel real when you touch them. Ask for samples of flowers you wish to buy and observe them in natural, artificial as well as candlelight. They may appear different in each one. You should choose flowers that look beautiful in any lighting. Inquire whether all the flowers come from the same dye lot, so that they will match well with each other. While buying a readymade arrangement online, ask for multiple close up shots of similar arrangements so that you can observe the quality of craftsmanship. Silk flowers eliminate the worries of allergies the bride or any other bridal party member might have of fresh flowers or pollens. If you are missing the fragrance of fresh flowers, spray your favorite scent on your silk flowers and they become fragrant. With silk flowers, the stress of flowers getting wilted is eliminated. Silk flowers look fresh all the time during your special day and even after that – forever! 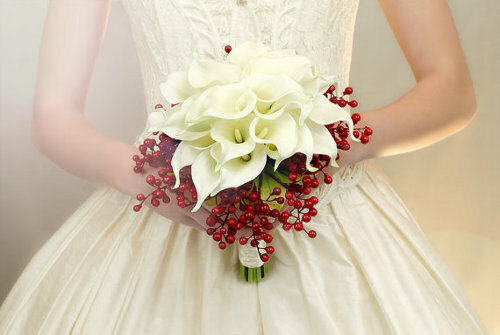 No extra expense of maintaining the bridal bouquet or any other arrangement, when the flowers are silk. You get any kind of flower handcrafted regardless of season. So, consider silk flower bouquets made by professional florists for your wedding and you will enjoy colors of your big day that will last forever.